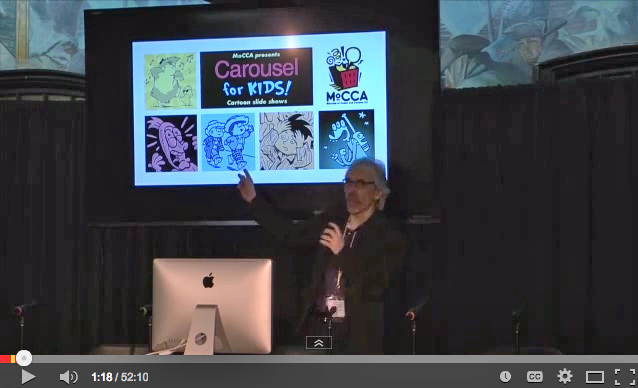 Here’s a casual clip of R. Sikoryak drawing, from our last Carousel for Kids show on November 2. 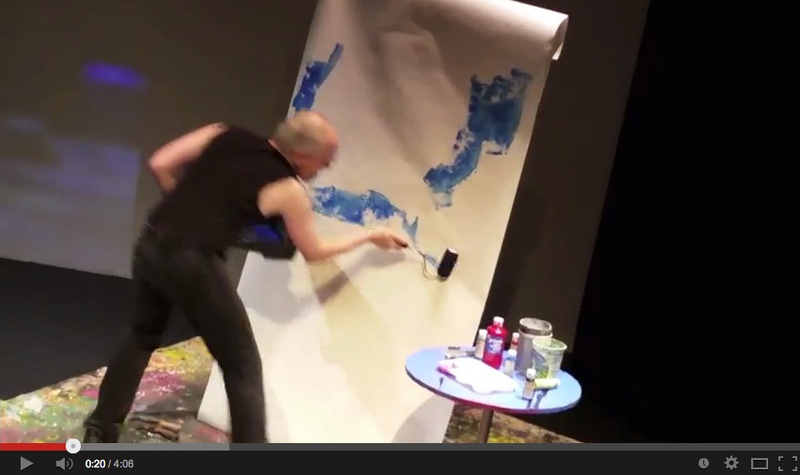 It was spontaneously shot by Brian McLane from the audience! The audio is a little quiet, particularly the music track, but you can hear the kids popping bubble wrap (a prop from Sam Henderson‘s slide show, earlier in the program). 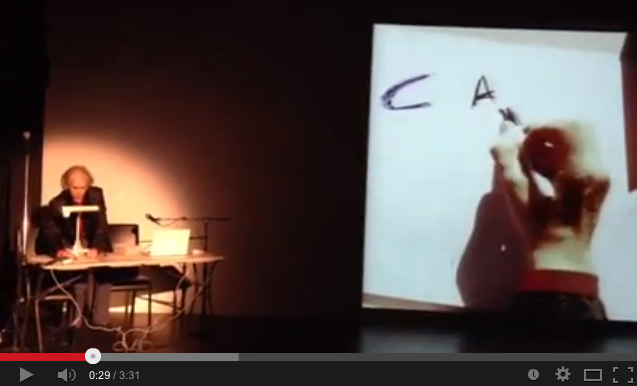 And here’s another clip of Sam Henderson, from the same show. We’re planning a number of shows for next year, and the first one will be at Dixon Place on Wednesday, January 8. Stay tuned for more info.